The Beresford Street Trial is a pilot study of the use of the Gross Pollutant LittaTrap under the supervision of Stormwater360. A single catchpit insert was installed on the corner of Beresford Street and Hopetoun Street, Auckland. 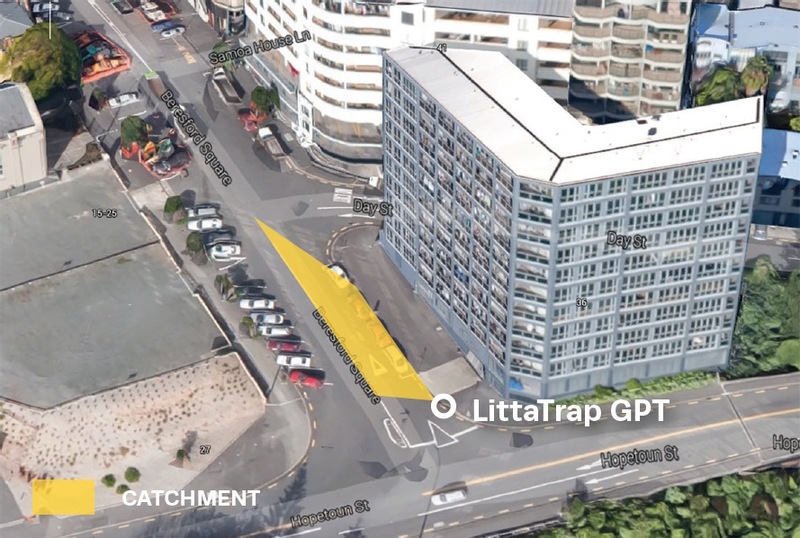 The aim of the trial is to provide quantitative and qualitative data on the gross pollutants captured by the LittaTrap in a typical inner city Auckland catchment. The Beresford Street catchment is part of a steeply sloping street in Auckland’s Karangahape Road district. The catchment area is nominally ca. 300 m2 (see Figure 2), however in periods of high flow it probably receives runoff from a substantially larger area, due to bypass of the uphill catchments on the steep slope. The catchment has relatively low vehicle traffic loads, but receives substantial foot traffic. It is adjacent to several high density apartment developments and has both on-street and off-street car parking. The uphill end of Beresford Street has several bars and cafes. It attracts substantial night-life and the associated phenomenon of outdoor cigarette smoking. Figure 2. Beresford Street site. Approximate catchment area shaded. The LittaTrap was first installed June 2012 and the content was emptied 3 times for analysis purposes on March, April, and May 2013. 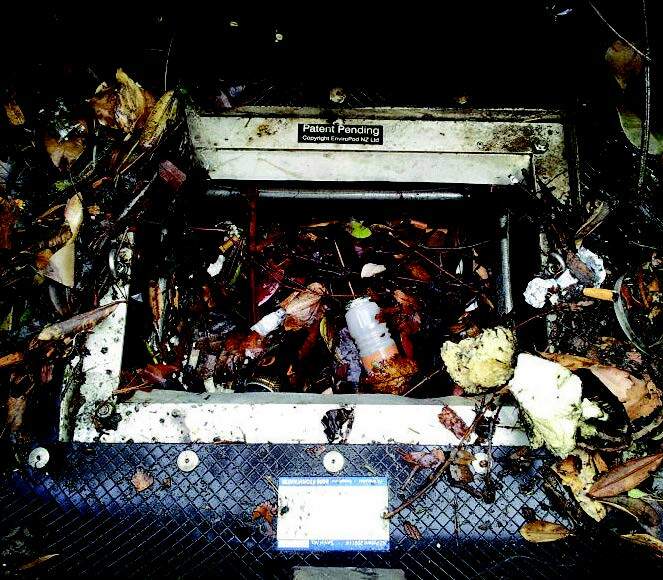 In approximately 11 months of service, the LittaTrap captured 10.72 kg (wet, drained weight) of gross pollutants (see Figure 3). Gross pollutants captured by the system were a mixture of predominantly negatively buoyant road sediments, neutrally buoyant organic material and positively buoyant trash and debris. 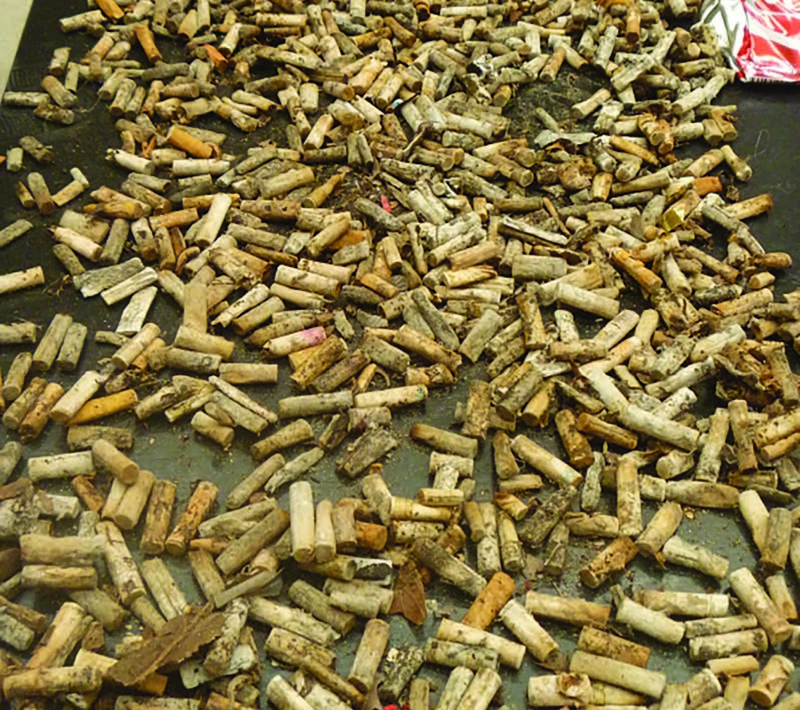 Most notably the number of cigarette butts found in 10.72 kg of debris was estimated at 2000. 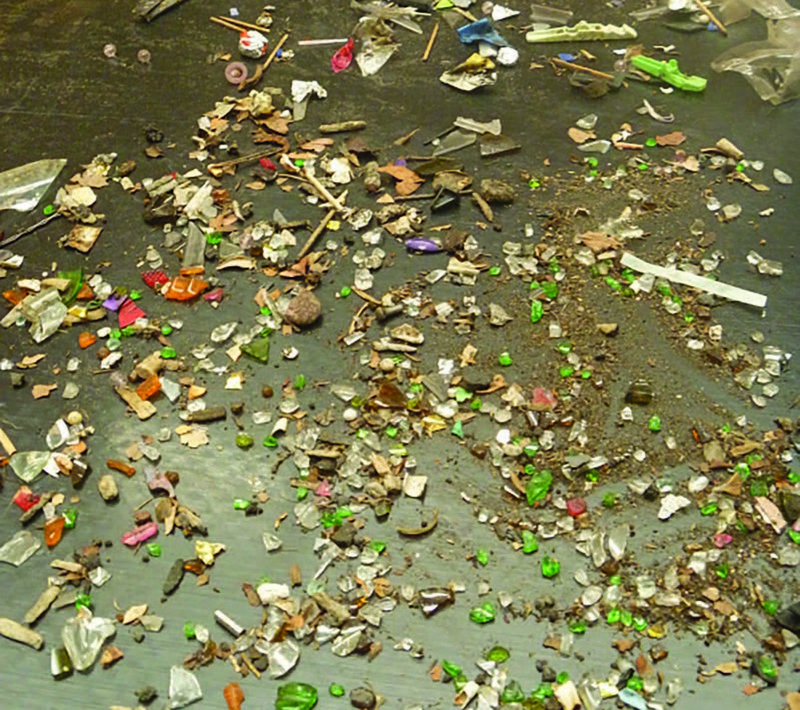 In addition, a considerable amount of debris, such as cans and plastic and glass shards were found. These gain entry to the catchpit via the large kerb entry slot, rather than the grate. Also found in the captured material were wrappers, straws, wine corks and bottle caps.